So, as of today I am 13 weeks into my first pregnancy, which has been a learning process and continues to throw surprises at me. 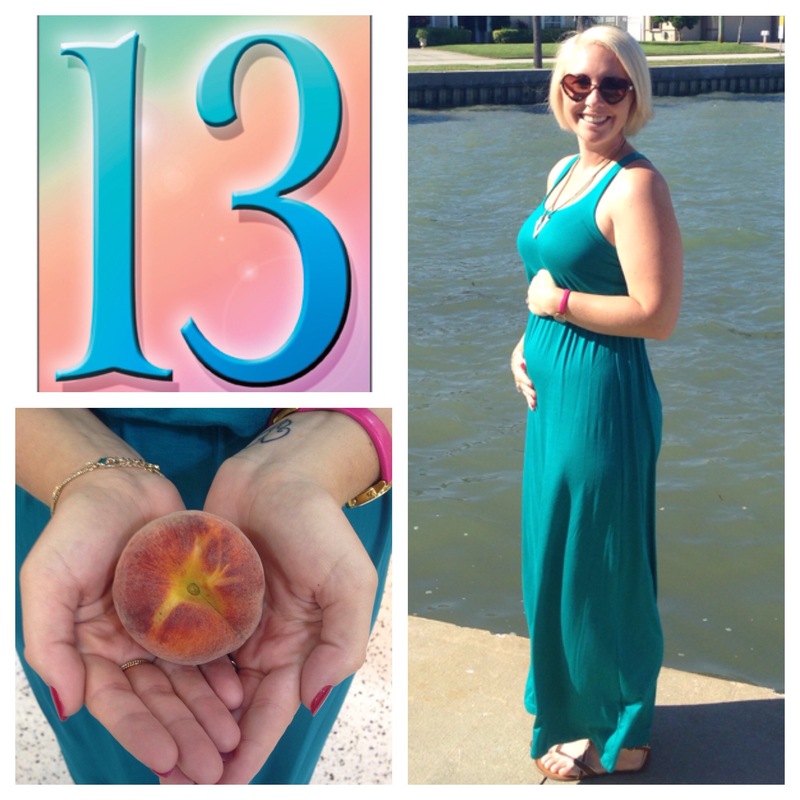 This week, my darling little one is the size of a PEACH, almost 3 inches! Baby is growing fast week to week…kind of makes me stand in awe thinking how amazing the whole thing actually is. Gender Prediction: Although many of my symptoms lead to old wives tales saying Peanut will be a girl…I have this feeling it is a little boy. However, only time will tell, and either way we will be excited! My inner fat kid, which technically I can say and it is true, is very happy with me eating more and not feeling sick. Food Likes: Well, Peanut is really liking hamburgers, especially from Wendys! Anyone who knows me will find this strange because I was a vegetarian. However, with a little person inside me, I figured meat is something baby needs, and it seems to be happy for that diet change. Also, baby likes Greek yogurt that has tasty flavorings, which mummy also enjoys. I even had my first steak in 3 or so years tonight! It was delicious and seems to get a thumbs up from the inside. Food NOPES: With the nausea slowly becoming less, I have realized a few foods that make mummy and baby unhappy. Firstly, iceburg lettuce. Again, ironic since I was a vegetarian…however, spinach and kale are perfectly fine. I also find myself getting queasy with soda and things that are SICKLY sweet. Neither of these are a bad thing, so I am okay with it. Fun Facts: This week I told my students I was pregnant, they all died with excitement and are now asking me daily when I will find out the gender. 13 weeks down, 27 to go! Reblogged this on Mum's Piece of Cake.